Will begin posting on the 15th on any of the snape_potter websites (LJ, IJ and DW). 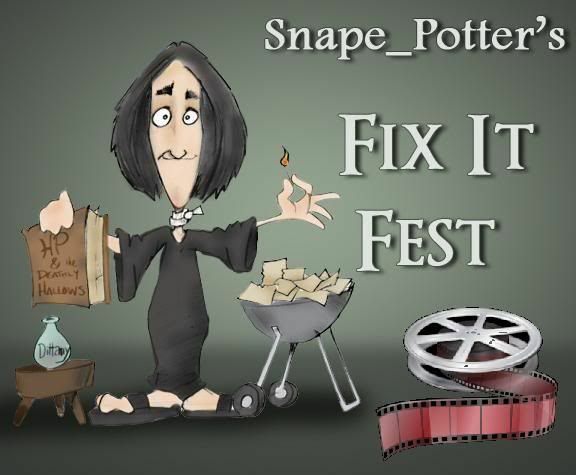 The fest focuses on fixing all of those glaring mistakes in the books and films (with a Snarry slant . . . this *is* accioslash 's idea ::g::) and should be a lot of fun . . . there were some pretty funny plot bunnies put forward on the fest post! I know next to zero about Potterverse, so may start with your little fable, which appears to be only tangentially related and requires less background. Fantastic! You did it! Oh, I'm so pleased. I should recklessly ask for what I want more often, eh? No reading tonight, though, curse it all, as my eyes have decided to call it quits. But only one more day until the weekend arrives and I'll be able to browse at my leisure. Also, clearly there's something in the air. First you pimp a Snarry fest, then Kelly recs a Snarry fic. Not that I'm complaining, mind, but I feel I should check your brows for fever. You did it! ::hides head in hands:: Yes, I did. I just hope that the mediocrity doesn't reach lethal levels. :-P Oh well, they're all pretty short so the exposure shouldn't be *too* harmful! ::g:: And I want honest opinions, now, so don't be afraid to say what you think. No offense will be taken, so no sugar coating. As I've said, I can't get better unless I get some real feedback. 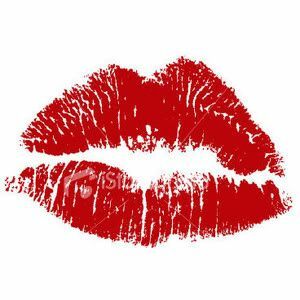 ::mwah:: Hope you slept well!